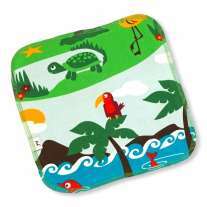 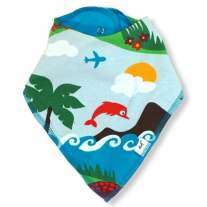 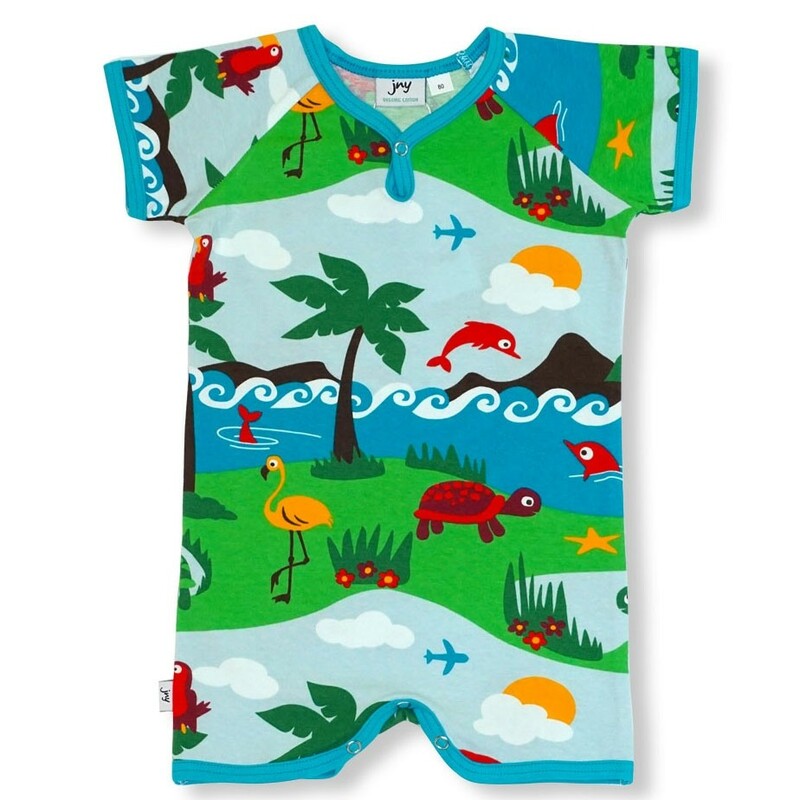 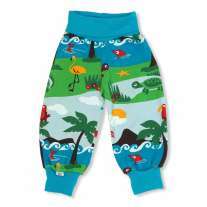 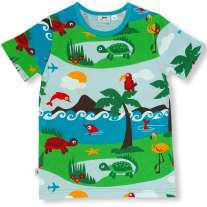 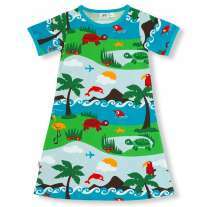 This JNY Dolphin Island SS Bodysuit has a tropical island design and a blue trim. This organic cotton romper has short sleeves and legs, and a neck snap for easy dressing. 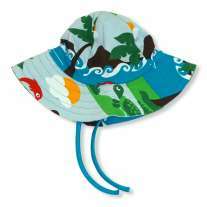 Perfect for sunny days and warm nights. 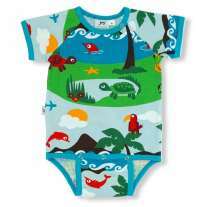 Team up with matching items from the range for an organic cotton outfit or an ethical new baby gift.